The new 2019 INFINITI QX50 was designed with one thing in mind: You. Every new feature has been carefully designed to inspire, enhance and fulfill your needs and desires. Featuring the world’s first production-ready Variable Compression Turbo engine and a gorgeous driver-centric design, you will feel the difference when you first step into the new QX50. 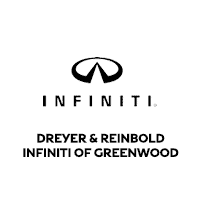 At Dreyer & Reinbold INFINITI South in Greenwood, IN , we have an amazing selection of new 2019 INFINITI QX50’s waiting to be driven today. Call or stop by to test drive the all-new QX50 today. Check out our newest specials to find a great deal on the 2019 QX50 in the Greenwood area today!